Racing will be Fast and Tough! 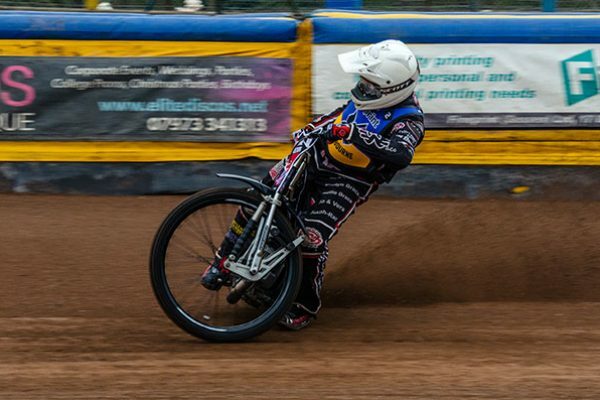 Championship-level speedway racing is hard, fast and tough. That’s the message experienced riders sent out from the club’s press and practice day on Tuesday. 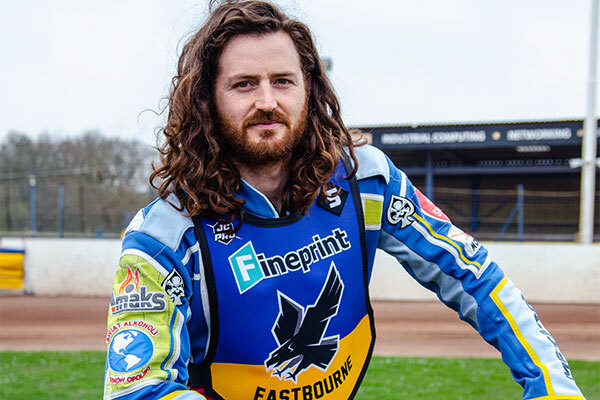 New Eastbourne Fineprint Eagles, Richard Lawson, Lewi Kerr, Ben Morley and Alfie Bowtell all said supporters were in for a season of excitement. 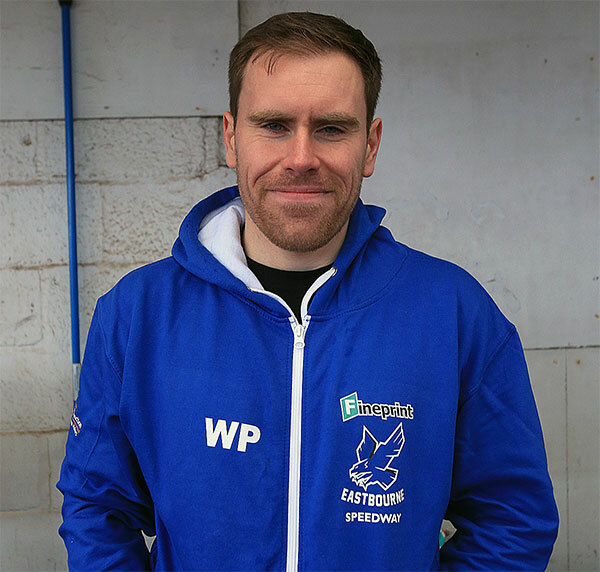 Their views were echoed by Will Pottinger who had experience as team manager at this level last year with Lakeside. The highly experienced Lawson said: It is an exciting move up for the club. “The racing is going to be good. “If you look up and down the teams, they are all really competitive. It’s a tough league. Lawson said he had not seen an awful of National League racing but believed Championship racing was “a bit closer and a bit faster”. “You can get in this league a reserve coming out and beating a heat leader,” he said, “ which you don’t generally find in the National League. Lawson, who also rides in the Premiership, said: “Doubling up, doubling down, however you want to look at it, is good for the riders. It is nice to stay busy and competitive and I think that rubs off on both clubs. “I already have had a couple of meetings under my belt, so I have cobwebs out. “Going into Saturday I should be ready. The bikes are good, I am looking forward to it. Pottinger, who is assisting co-promoter Trevor Geer with team matters, said: “It is going to be a very competitive league. There is not a lot between the teams. “I can guarantee there will be some good racing. “There is some great British talent in this league, supplemented with the overseas riders. 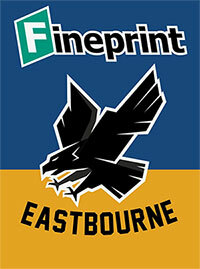 “It is a really good product and I am sure the Eastbourne supporters will enjoy the racing this year. Pottinger said the difference between the National League and Championship was huge – a massive step up. “We have riders here who have raced for Great Britain; Richard has raced Poland and abroad. “There is a massive difference between the two leagues. Tomorrow: More views from the Arlington pits about the Championship. A reminder that as a one-off the meeting on Saturday starts 30 minutes later than usual at 8pm. The planned format (weather permitting) this season is to have a full team rider parade for both teams commencing 15 minutes before the first race. On Saturday this will be at 7.45pm with tapes up as closely as possible to 8pm (normally on Saturdays will be parade at 7.15pm and first race at 7.30pm prompt). This will allow far better facilities and access to browse items. There will be a rail of merchandise to view which can then be ordered by supporters from the website for home delivery and a number of more traditional speedway orientated items on sale from Martin Dadswell, who we are delighted to welcome back to the track shop.